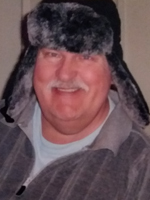 Ray “Tommy” Thomas Howell, Jr., 69, passed away peacefully at home surrounded by his family Friday, January 25, 2019. He was born in Norfolk, VA and had been a life-long Tidewater resident. He retired from the Ordnance Department at the Naval Weapons Station with 35 years of Government Service. He served his country honorably in the U.S. Army and was a Vietnam Veteran. “Tommy” was preceded in death by his parents, Mr. and Mrs. Ray T. Howell, Sr. and his sister, Pat Mays. He is survived by his loving wife of 34 years, Cheryl M. Howell; five children, Carter Howell (Rebecca), Amy Topping (I.C. ), Russell Watkins (Dana), J.D. Forrest (Michelle), and Lynn Wynn; his brother, Richard R. Howell (Martha); his 9 grandchildren, 3 great-grandchildren and a host of nieces, nephews, extended family and his special friends at the Yorktown YMCA. A Graveside Service with Military Honors will be held at 12 Noon, Friday, February 1, 2019 at Albert G. Horton Jr. Memorial Veterans Cemetery, 5310 Milners Rd., Suffolk, VA 23434. Arrangements are by Weymouth Funeral Home.